On this episode, Dominic, Ben, and Chris discuss recent comments from Tony Gilroy and Simon Pegg about Star Wars projects past. They analyze what Gilroy said about his involvement in the Rogue One reshoots and his impact on the saga. 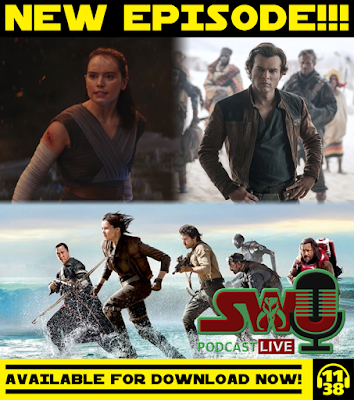 They also discuss Pegg's reveal that JJ Abram at one time considered making Rey's parents someone more connected to the saga, if this was a good idea, and what impact it may have (if any) on the future. Then, Chris and Ben interview members of their families about their thoughts on The Last Jedi. Plus, Solo updates, Pegg seems to change his tune on George Lucas, and what should the Solo opening titles be? All this and much more!